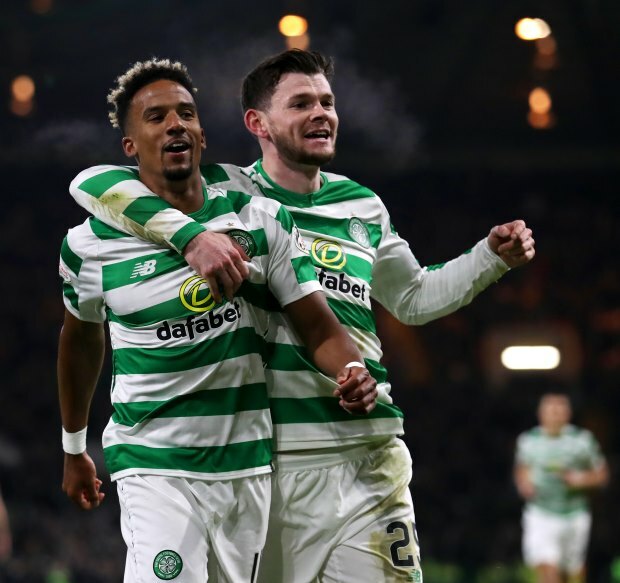 Former Dundee manager Jim Duffy says he has never understood the criticism around Scott Sinclair, who was in superb form in Celtic's 5-0 crushing of St Johnstone in the Scottish Cup on Sunday. Celtic, who went into the tie at Celtic Park having beaten St Johnstone home and away in recent weeks, went ahead after just three minutes through Sinclair. Scott Brown made it 2-0 in the ninth minute, while James Forrest killed off St Johnstone when he struck in the 52nd minute. Sinclair then put the icing on the cake by scoring his second in the 54th minute, followed by the completion of his hat-trick with a minute left. Former Dundee boss Duffy was quick to praise Sinclair and insists there is no element of luck to the winger's game. "I never understand the criticism about Sinclair", Duffy said on BBC Sportsound. "He's a winger who is actually a poacher, he sniffs around that six-yard line. "People say he's lucky, but he's not. "He's in the right area and has calmness and composure. "Another hat-trick – outstanding for a wide player." Sinclair has netted 56 goals for Celtic in his 144 appearances in a green and white shirt. The winger will hope to be given the vote from Celtic boss Brendan Rodgers to feature in the Bhoys' next match, with is the first leg of their last 32 Europa League tie against Valencia, at Celtic Park.